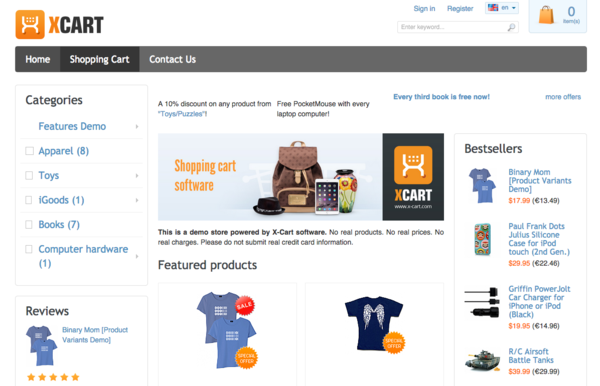 A new responsive and mobile ready skin - Light Responsive - has been added into all the packages of X-Cart Classic. On the checkout page the "Continue" button which used to be under the column with the buyer's personal info has been removed. 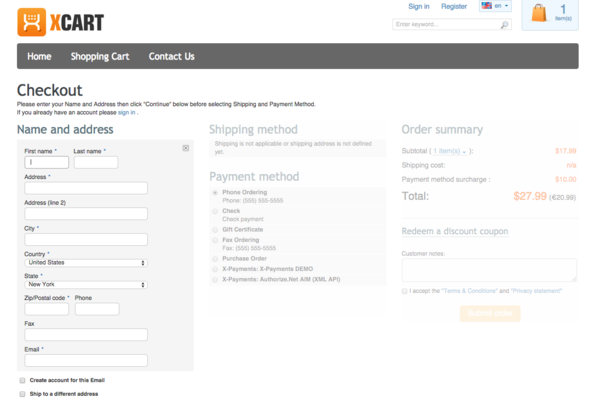 Evolved from the well-known "Express Checkout", PayPal's "In-context Checkout" is a new feature aimed at simplifying the checkout flow for your customers. With this feature the number of clicks for the buyer is decreased to 2 (or 3, if the buyer is not logged in to their PayPal account). A user is NOT taken to the PayPal site to complete the transaction — it all happens right on your website. Moreover, right on the page the customer is viewing, as it opens a minibrowser above that very page. 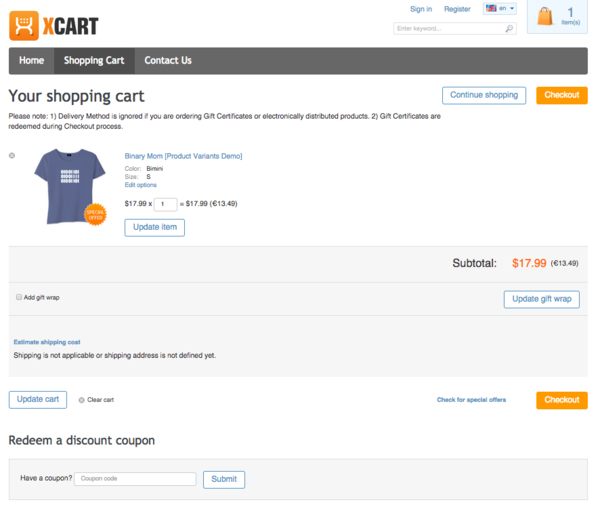 If the transaction is successful, the customer is provided with an order confirmation; otherwise the customer is redirected to a regular checkout page so they can try again. 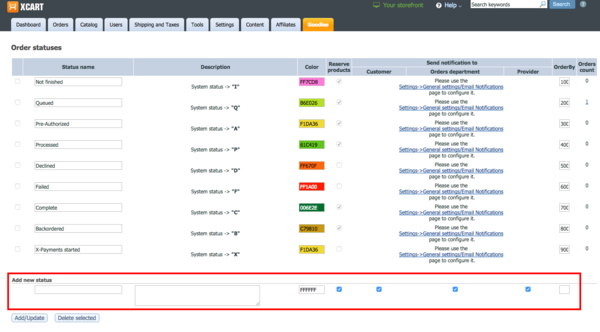 The new module is available within the packages "GoldPlus" and "Platinum". 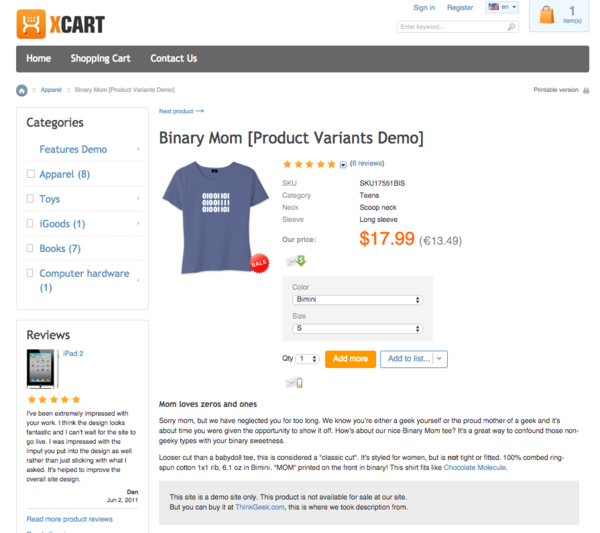 It enables the store administrator to create custom order statuses. To add a new one, go to "Settings" - >"Order statuses". Payment method surcharge has become editable. 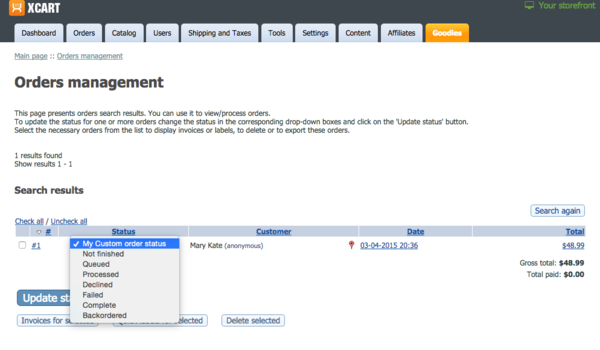 The shipping method name can now be modified, too. Module re-factoring related to profile fields, taxes, discounts and other features. The second address line (Address Line 2) could not be removed. It has been fixed. Under certain circumstances the calculation of discounts and taxes was incorrect. Has been fixed, too. Email validation on the edit customer information page has been added. More fixes and improvements (See the File:X-CART CHANGELOG.txt for info). This page was last edited on 17 October 2018, at 10:05.